A lack of capitalization in the box led to back-to-back losses for the Hawkeyes. 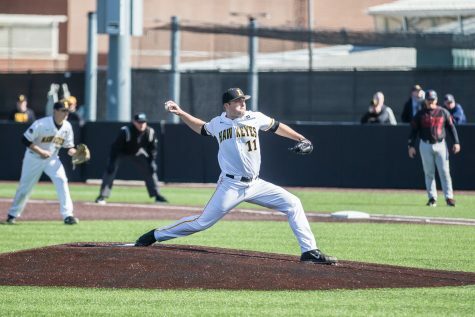 Iowa baseball dropped the final two games of its series against Evansville on Sunday, 6-0 and 3-1, to lose its first series of the season. Just one week removed from taking 2-of-3 from the No. 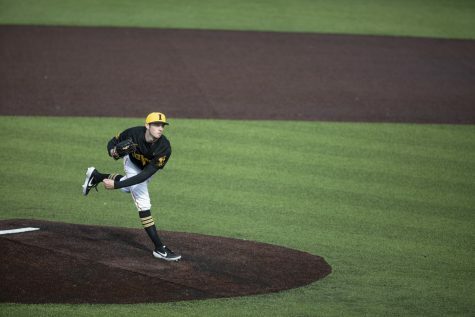 19 team in the nation, Oklahoma State, and one day after putting the hammer down on Evansville with 19 hits, Iowa’s team fell into a slump. 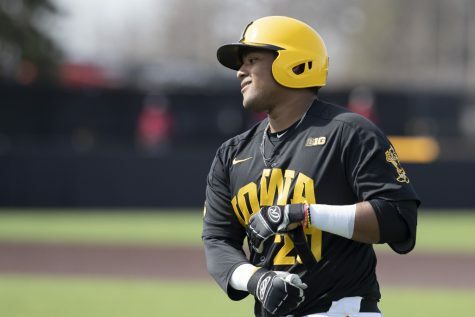 Sophomore designated hitter Izaya Fullard went 2-for-3 in game one of the doubleheader with a walk, but the Hawkeye lineup behind him couldn’t capitalize on baserunners. 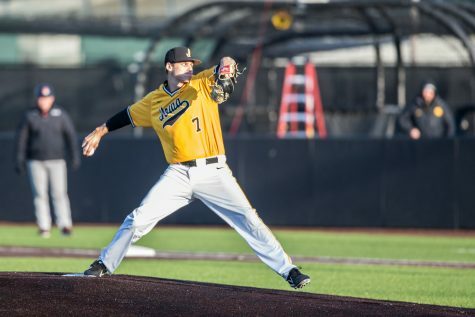 The Hawkeyes were shut out to begin the day, collecting 10 strikeouts and only three hits. The Aces’ lineup, on the other hand, couldn’t stop hitting. Six of the top seven guys in their lineup reached base safely at least once, collecting nine hits and six runs in the process. 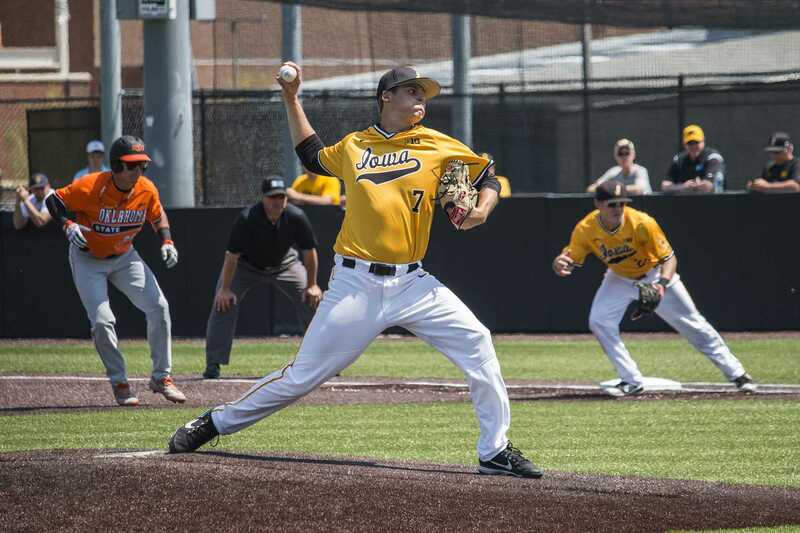 The Iowa team’s woes didn’t stop at the plate, as four errors in the field led to two of Evansville’s runs. Sophomore Cam Baumann got the ball for game one and earned only two of the four runs plated while he was on the bump. In his 5.0 inning outing, he struck out four and only walked one. The second game of the day went smoother than the first for the Hawkeyes, despite still taking the loss, 3-1. 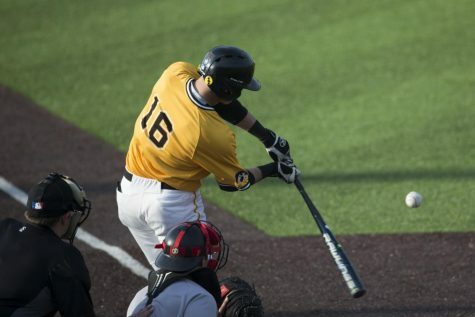 The Iowa bats finally turned on, cranking out eight hits to battle with Evansville. The defense tightened up as well, and neither team committed an error. Evansville began the scoring in the first inning, in right-handed junior Grant Judkin’s fourth start of the season. 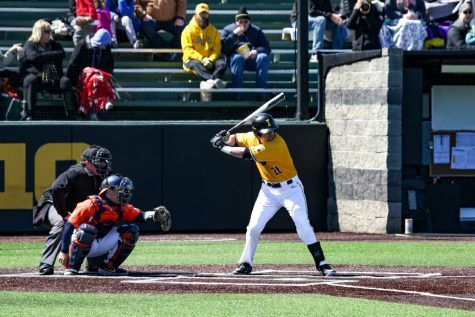 Iowa bounced back with a run in the third inning, Fullard driving in Brendan Sher with a single, but that’s the only capitalization the offense had all day. Of its eight hits only one was for extra bases, and 14 Hawkeyes were left on base. The Aces drove in two more runs in the fourth and sixth innings, both on Judkins line of 5.2 innings pitched, three earned runs, eight hits, two walks, and five strikeouts. 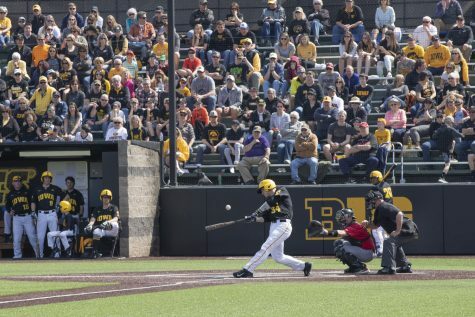 With two outs in the top of the ninth, the Hawkeyes attempted a rally. 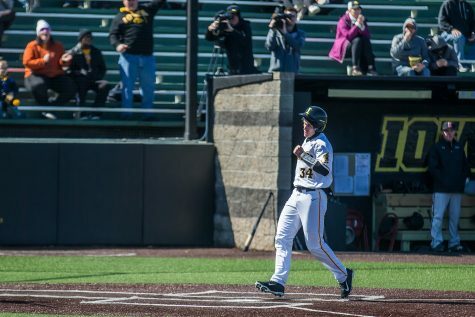 A walk and a single put runners at the corners, but the story of Iowa’s day ended there, following its narrative with a lack of clutch hitting. 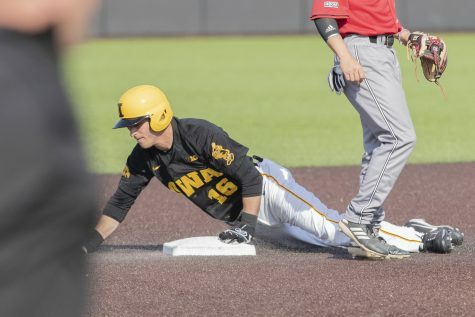 On Saturday, Iowa’s lineup left 11 on base, but it didn’t matter. Thanks to 19 hits (nine for extra bases), including an inside-the-park home run, 18 runs was plenty to hold the Aces at bay. The defense held its own as well, committing only one error. 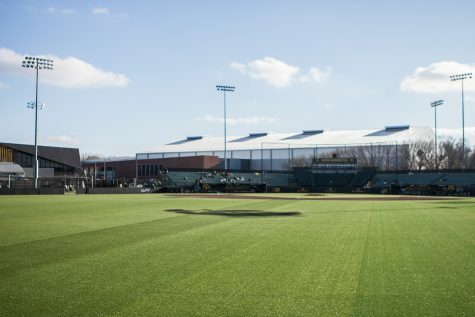 Thanks to midwestern weather, Iowa’s home opener is now slated for March 15 against Cal-State Northridge, the first of a four-game series. 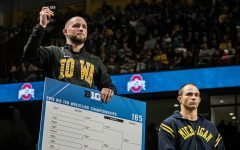 The Hawkeyes have a five-game home stand to get right in front of a home crowd, on their turf, before going on the road again for the Big Ten opening weekend against Indiana on March 22.